entry : 500 yen + 1 drink + pass the hat for musicians! Guitar maestro Baku Tsuzuki is coming back to Tokyo town to resume duo operations with Samm! 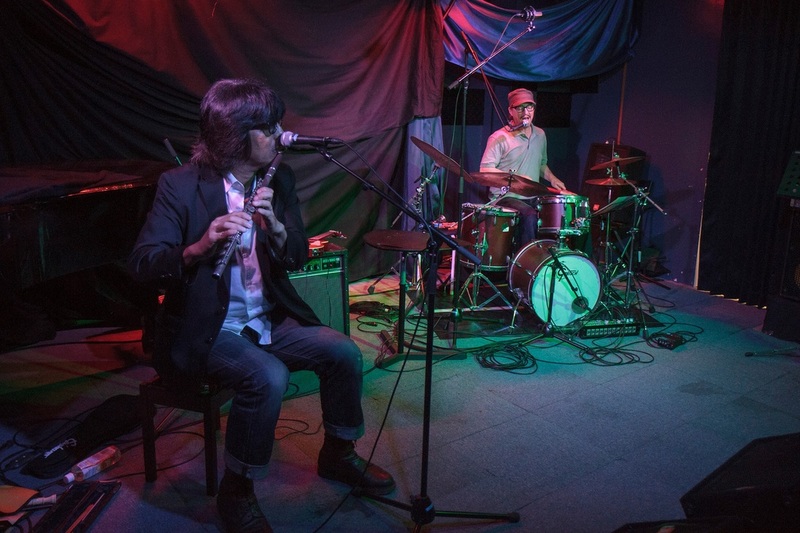 The shows they did together a few months back in Tokyo were a deep-down satisfying trek into imaginary Americana and future-blues explorations, so they're looking forward to extending their newly-developing musical language together. At the new Bar Ishee, formerly located in Shibuya but now over in Sendagi, where the COOL kids are going. Drunk Poets See God is the monthly poetry (plus some music) open mic hosted by Samm Bennett and Sorcha Ress Chisolm. Always a warm, friendly and supportive atmosphere, with poets and spoken-word folks of all kinds showing up to get on the mic for their 15 minutes (or less) of fame. YOU are most welcome to join, either as a participant or (as many are) a spectator. Show us what'chu got or just let let the poets show you. Either way, as old Bobby Zimmrman said, it's all good. 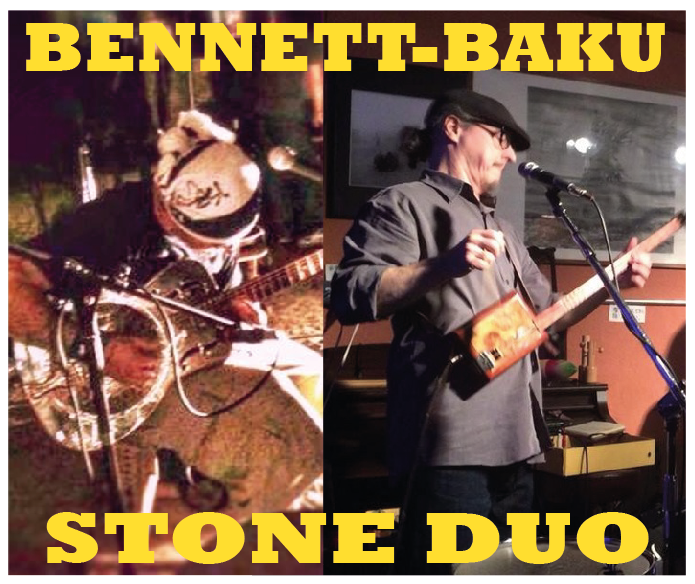 Everybody's favorite clinkin' and clankin' percussion boys are back with more rumbly tumbly grooves and songs sung blue! 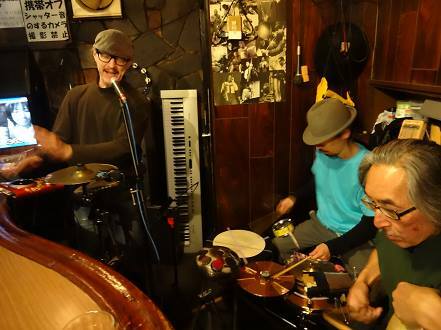 This time they'll be back at one of their favorite haunts: Big River (1 minute walk from JR Higasgi Nakano station on the Sobu line local) but this time in a special daytime show. Check out the Metaphors HERE if you don't know us! MON 11/24 - KING CAKE BABY premiere! 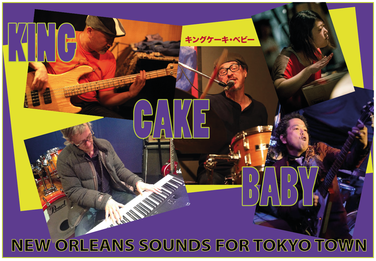 This will be the first big show by Samm's new band, KING CAKE BABY, bringing you the New Orleans sounds you wanna hear! Classic tunes made famous by artists such as Dr. John, the Meters, the Wild Tchoupitoulas, Professor Longhair, Lloyd Price, the Dixiecups and more, plus originals by Samm in the spirit of New Orleans music. Can't help but feel it! Coming up after King Cake Baby will be more music from Fats & Fats, and New Orleans cuisine prepared by N'awlins native Abdel Ibrahim. Not to be missed! 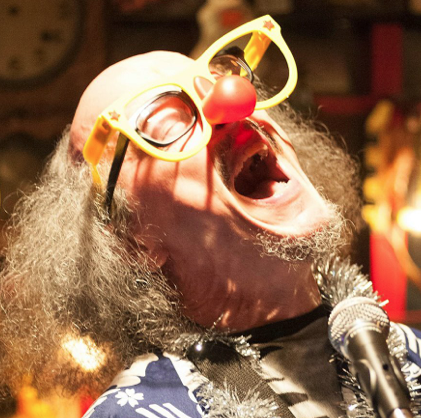 And remember King Cake Baby is up FIRST, one set, starting at 7PM, so don'tchall be late, now! Also note that 11/24 is a national holiday! as part of Koganecho Happening! Once again it's the always-surprising, never predictable Bennett-Karimata Duo, offering up improvisations full of mystery and motion. Samm and Karimata-san connect on a deep level, somewhat unexplainable, except to say that a certain hoodoo vibe runs through it all. There'll be several other creative musical acts on the bill, which will be the first of a three-day mini-festival. 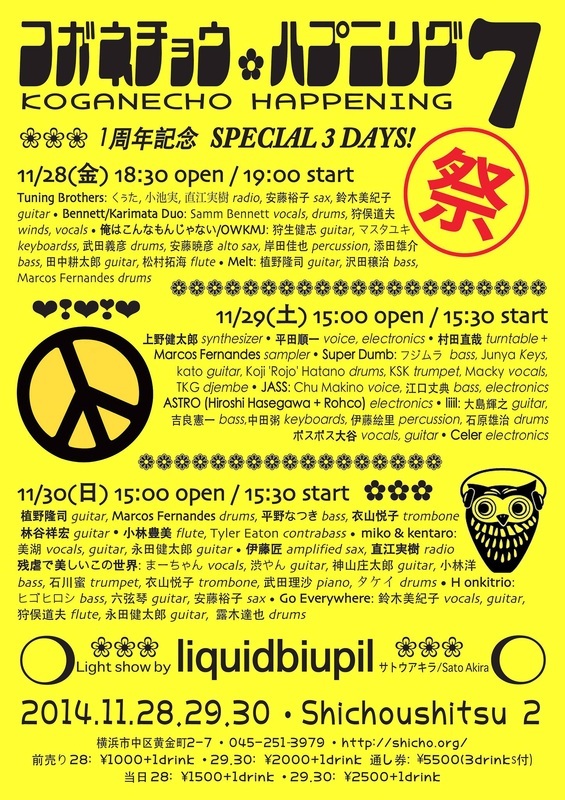 Come to Koganecho, Yokohamas up-and-coming zone for creative music, art, design, food and whatnot.